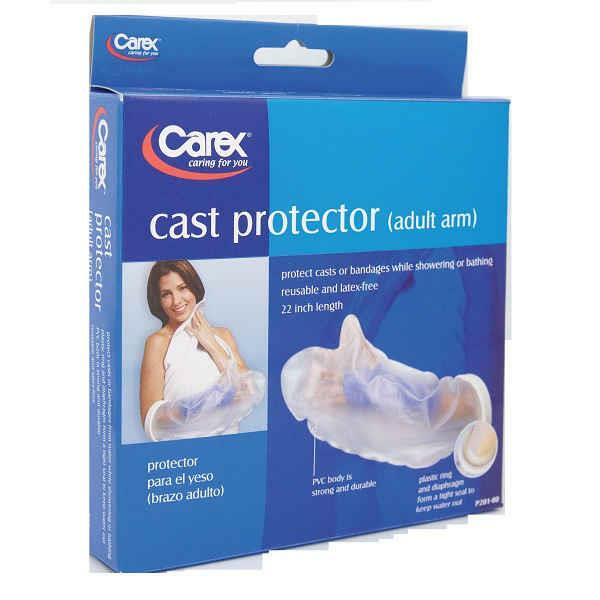 The Cast Protector for the Large Arm keeps casts and bandages dry while showering and bathing. It is made from durable, latex-free plastic and it features a tight sealing plastic ring and diaphragm to keep out water. The size of the Large Arm is 23 inches long and is designed for use below the elbow.